This is my Affiliate Summit Recap. I attended Affiliate Summit West held January 7-9, 2018 at Paris Las Vegas. 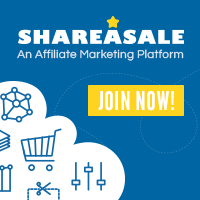 This is the premiere affiliate marketing conference and convention held twice a year in Las Vegas (Affiliate Summit West) and in New York City (Affiliate Summit East). Every affiliate marker, or anyone who wants to learn how to make money blogging, needs to attend at least one of the conferences if you are serious about starting or growing your affiliate marketing business. 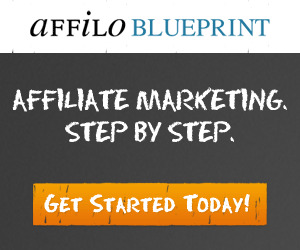 Affiliate Summit, is attended by over 5,000 affiliate marketers, performance marketers and bloggers from around the country, as well as, hundreds of affiliate networks and service providers covering all aspects of the performance marketing industry. With the VIP Ticket, you get video recordings of all the sessions covering the three days, so you can attend sessions in person you need, and see the remaining amazing sessions once they are releases about a month after the conference. Didn’t take notes, no problem. You can view and review the sessions you attended if the instructor gave valuable tips to help you move your business forward. Why Should You Attend Affiliate Summit East 2018? You need to attend Affiliate Summit East 2018, since there is no other industry venue where affiliate marketers can learn what is going on now in the trenches of performance marketing, and where you can meet face-to-face with affiliate network managers and representatives from all the major affiliate networks in one place,. You can learn about the products and services that you can market on your blog, website, by email or telephone, and get the opportunity to meet and talk to service providers offering products and services to help you be a better marketer. Each year the educational sessions at this performance marketing conference discuss the hot topics permeating the affiliate marketing industry and search technology, providing vast opportunities for business growth or uncovering laying landmines that can upend your business in a heartbeat if you are not careful. As predicted, Google’s frequent keyword updates and algorithm changes were a subject of many discussions. For new affiliate marketers or those just getting started making money with a blog, the discussion of needing an HTTPS blog or website was a hot topic. Google is mandating that all blogs migrate to the HTTPS version of your blog by early 2018, to prevent being hit by a Google Penalty. Google wants affiliate marketers to provide visitors to your blog a safe and secure environment, where their vital personal information and search histories are encrypted to prevent being viewed, accessed or stolen by internet trolls. You can read more about HTTP vs HTTPS here. There were several web hosting companies that were attendance ready to help bloggers and website owners sign up for a web hosting plan. You can meet these companies at Affiliate Summit East as well. They are blogger-focuses to handle all the technical issues to seamlessly migrate your blog to an HTTPS site that is in accordance with current Google requirements, so you don’t get the dreaded Google penalty for non compliance. This is great opportunity for new and experienced blog owners and affiliate marketers to discuss this important issue face-to-face with web hosting company representatives. You can register for Affiliate Summit East 2018 here, so you won’t miss the next Affiliate Summit being held in NYC the end of July 2018. 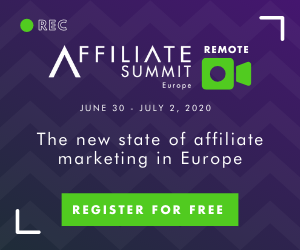 Don’t miss the opportunity to come to Affiliate Summit East, and attend informative educational sessions, meet face-to-face with affiliate network managers and stay abreast of the latest trends in affiliate marketing from industry veterans. I learned one of the upcoming trends, which will impact affiliate marketing or anyone with with a blog who wants their content to be found in the search engines is is voice search. You’ve probably used Siri, the voice search program installed on many Iphones and Android smart phones, Google Home or Amazon Elexa home voice search tools. Users speak commands and search phrases into the interactive voice search console, to control various home devices, including your phone, TV, music search and playback, and home A/C or heater, for example. Before these devices came on the scene, you had to key search terms or search phrases into your computer or Siri on your phone. These phrases were based the way we use computers, and Google was able to easily index the keywords and their monthly searches. Bloggers and affiliate marketers were able to able to create content around these keywords to rank in the search engines. This would help their content ran higher, with the hopes of increased click-thus, sales and larger commissions. Now, with voice search based on Google Home or Amazon Elexa, people are using spoken voice search phrases, with it’s nuances that are unavailable when using a computer. Take AAA, the national auto club, for example. Google understood what AAA means, but people don’t use the phrase A-A-A. They say find local Triple A office, so now Google is indexing the voice phrase “Triple A” for the national auto club AAA, in addition to AAA. So how does this impact your blog and how well it ranking your pages in the upcoming world of voice search? Your content now will need to rank for voice search phrases in looking for a product or service. Your job as an effective affiliate marketer is to know how to rank the content in the way people speak the product or phrase and not just how they type the words or phrases into a computer keyboard. It is recommended you try to find your pages in your cell phone internet browser using Siri, and rank for the those appropriate search terms and search phrases to stay competitive. Another trend discussed at Affiliate Summit this year is mobile search. In a session lead by an industry leading SEO practitioner, we learned Google will be focusing on ranking your content for mobile search beginning in 2018, possibly even more than your blog. Until now, the Googlebots scoured the internet looking for content to index and rank, and your blog was the primary vehicle for the search engines to collect this data, and to rank your content.. Many bloggers also use a mobile-friendly version of their blog for viewing on smartphones, that strip images found in their content for faster page loading on smart phones. The problem with this going forward is that images contain vital content ranking factors, particularly, meta tags and image title attributes. The loss of these two critical content ranking parameters in images may impact how well your content will rank going forward. The resolution is to use a mobile-friendly theme for smartphones that retains the images and these critical image attributes for ranking, but instead resizes them, so they are not a major resource hog, that slows down the page loading speed. How to Learn Information Like This? If you want to learn critical industry information like this, you need to attend Affiliate Summit East 2018 Conference and Convention in New York City, being held Juy 29 – 31, 2018. « HTTP vs HTTPS – which Should You Use on Your Blog?